Are you looking for an opportunity to join one of the fastest growing travel trailer manufacturers in the industry? 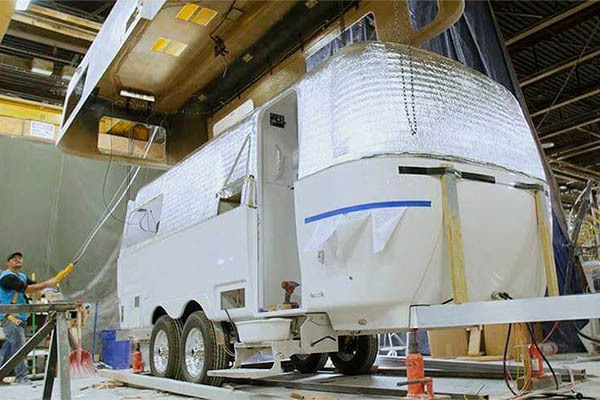 Oliver Travel Trailers Inc. is a family owned direct to consumer RV manufacturing and sales organization building uniquely designed, all season, dual fiberglass hulled RVs. From our home in Middle Tennessee we proudly serve customers in all 50 states. In an effort to get to know you, simply fill out and submit the form found on this page with your information, choose the best position that fits you. We're always looking for stellar team members in all of our departments. We are in search of a results driven RV Sales Representative responsible for taking marketing generated leads, utilizing a consultative selling approach to cultivate and develop relationships that wins customers and generates sales growth. Click the buttons below to view the listings' details.